Timed to the release of Snowberry Days, Twentieth Century Fox Home Entertainment will release 9 one-of-a-kind, limited edition puzzle faceplates in celebration of the 35th Anniversary. Capitalizing on this iconic Franchise, these faceplates will be available for the first time ever to consumers to purchase and share. Titles include: Berry Bitty Mysteries; Berry Friends Forever; Jammin with Cherry Jam; Bloomin Berry Garden; Bright Light, Big Dreams; Puttin on the Glitz; Glimmerberry Ball; Berryfest Princess Movie & Sky’s the Limit Movie - - Collect them all! 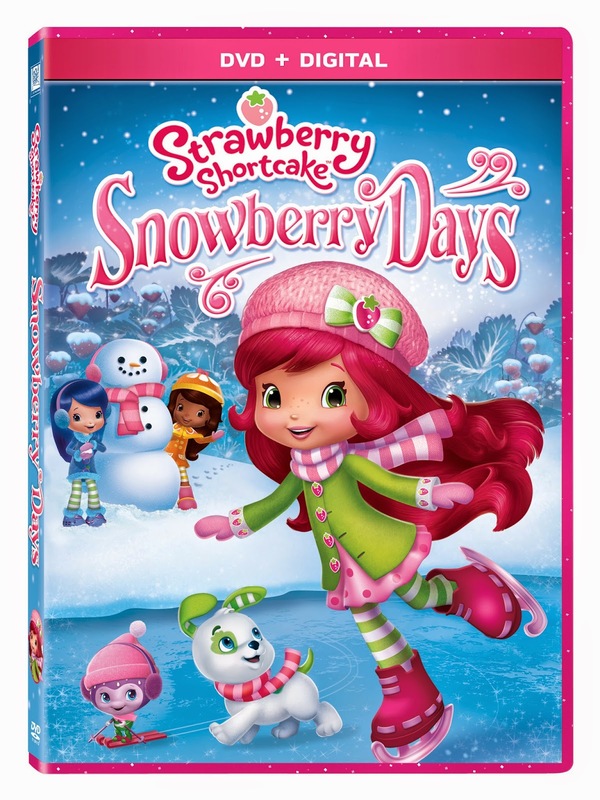 One person will win Strawberry Shortcake: Snowberry Days on DVD. no i hate snow,,I was raised in TN where we didnt get much snow,when I remarried my husband was from the North and we now live in VT,the land of ice an snow! I love snow, as long as I don't have to drive in it! I like staying inside and looking out at the pretty snow. My kids love playing in the snow! I think snow LOOKS beautiful,and it's fun to play in, but I live in the South, where we don't have much experience actually functioning in snow. We get half an inch and people start wrecking cars, buying up all the milk and bread, and schools and businesses shut down for a week. So, no, I guess snow is not my favorite thing. I love snow. I live in FL so I don't see much. No, I don't like snow. Thank goodness I live in the south so I don't see to much. I don't mind the snow though I am over the cold and ice right now! I love snow. But it is probably because I live in Louisiana and we don't get much of it. I would probably change my mind if I lived up north. I only like snow when I am inside drinking hot chocolate and watching it snow outside the window. I think snow is pretty, and I don't mind it when everyone is home. But I don't like driving in it. I like snow as long as I don't have to drive in it. I'll take snow or ice any day. I love snow. There is something about it which makes the world look like a softer place. I used to like snow, but now that I'm getting older, I don't like it so much anymore! No, I don't like it. We've had enough here in Iowa for this. Ready for spring!! I don't mind the snow, it's the ice I don't like. I like snow around the holidays, but that's about it. 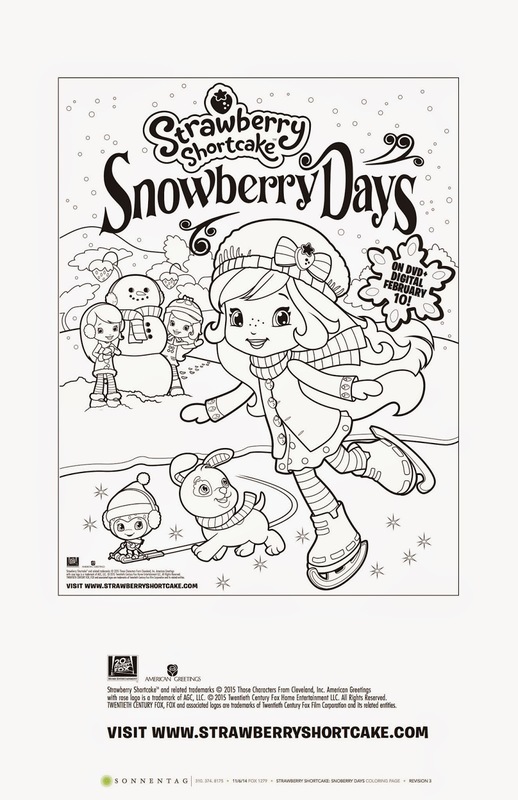 We absolutely love Strawberry Shortcake - and keep hoping for a REAL snowday here in DC! One or two snows or okay, past that I am not a huge fan! Snow is alright...I'm not a huge fan. I'm not a big fan of snow. The cold makes my pain that much more intense, however, my middle daughter is a huge fan of the white stuff - LOL Luckily for her, my grandson is also a big fan of it! I like the snow. In fact it is snowing out today! Im from Northern Ohio and ran South to avoid the snow! Snow is beautiful to look at. It is not so enjoyable to drive in. I love snow. Unfortunately, this year we haven't received very much. I love snow! But where we live we don't get much of the white stuff! Mixed emotions~~love to see it but don't enjoy traveling in it. Today we have 4 inches at our house in Kentucky. I love the beauty of the snow but beyond that I prefer to not have to go out in it. I like snow, I do not like to drive in it. I strongly dislike snow, one might even say I hate it! I love snow, as long as I don't have to be in it for a super long time! It makes for gorgeous scenery. I like snow if I don't have to drive in it. I like snow because it reminds me of winter! Thanks! Yes we love snow but we can only play with snow if we go to the mountain near us. I enjoy a light dusting. I like the way it looks and I used to love to ski in it. Now I don't like too much snow because it causes driving hazards and can knock out power and I have a four year old. I do like it in some respects and not so much in others. Hi. The html code to grab your blog button does not appear in your field there. So I had to create it. Let me know if you need the code and I will email to you. I like snow, but we don't get a lot if it where I live. My kids would love to get more! I do not mind the snow as long as I don't have to drive in it! I absolutely love the snow, but haven't gotten any this year. I'm not sure if I like snow.